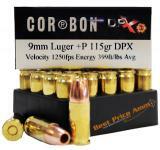 45 Auto [ACP] 160 gr DPX Corbon Ammo (20 rds)Be the first one to write a reviewDPX45160/20Corbon .45 ACP 185gr DPX (Deep Penetrating X-Bullet). 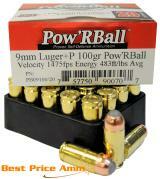 This ammunition is Barnes' XPB (X Pistol Bullet) solid copper bullet at 1075fps for 475 ft-lbs from a 5" barrel. 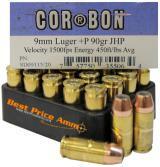 Ammunition is 20 rds per box. 45 Auto [ACP] 165 gr +P Pow'R Ball Corbon Ammo (20 rds)Be the first one to write a review4102788Innovative ammunition new JHP bullet with a polymer ball in the cavity. The ball allows smooth feeding and chambering in all guns while preventing the cavity from becoming plugged with material to ensure expansion.